Nissan is reported to be working on a new sports car called the "Mini-Z" that will attempt to compete with the Scion FR-S and Subaru BRZ. 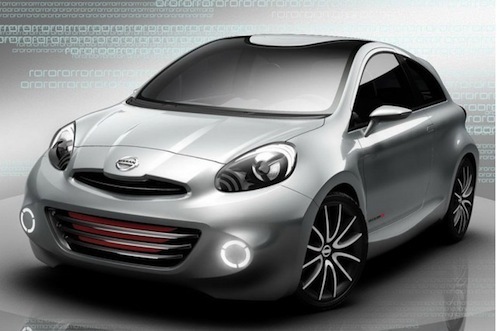 Nissan is reported to have given the green light to build a new compact door-two sports car. As reported by Motor Trend, they say the new car will be called the “Mini-Z” and will be very similar to the Compact Sports car that was revealed at the Shanghai Auto Show last year. Nissan intends to develop the new sports car to compete head-to-head with the Toyota GT 86, Scion FR-S and Subaru BRZ. The “Mini-Z” will not have your typical sports car configuration with rear-whee-drive, but will come with a front-drive-based drive line. It could also be available with an AWD setup similar to the Juke’s all-mode 4X4 system. At the concepts unveiling, Nissan said the car was a “unique sports car for drivers in emerging markets leading active lifestyles with an interest in motorsport.” While the new front-drive sports car will definitely be a sporty car and fun to drive, Nissan will have to make the car available worldwide in order to compete with the GT 86, FR-S and BRZ. The powertrain on the new “Mini-Z” has not yet been revealed, but Motor Trend reports that the concept was motivated by a turbocharged 1.6-liter four-cylinder that produced 190 horsepower. The engine is said to have a wide torque band and more responsive at mid-range and top-end. With the huge success that Toyota and Subaru have had with the GT 86, Scion FR-S and BRZ, Nissan is scrambling to come up with something to answer their strong sales and success. The two Japanese automakers came up with a two-door rear-drive sports car that was attractively priced and buyers are lining up to get the cars here in the U.S. While we still don’t know if the new Nissan sports car will be offered here in the U.S., the car will be introduced in Japan and some European countries. The report says that the price of the new FR-S/BRZ killer will be less than both cars by as much as 10 percent with an MSRP somewhere under $22,000. Nissan will use the same platform and drivetrain as the Juke to cut production costs. Can Nissan compete with the FR-S and BRZ? Nissan knows it has to come up with an answer for the successful Toyota/Subaru partnership that produced the GT 86, FR-S and BRZ. But it looks like they are reaching by trying to save money by using a concept car that uses the Juke platform and engine. While the engine should be able to compete, every true sports car enthusiast knows that a front-drive car won’t perform when it counts. The new Nissan “Mini-Z” will give up 10 horsepower to the FR-S and BRZ, but will really lose in the area of true performance by offering front-wheel-drive. But the new sports car will have an attractive price, and should still have good sales for those wanting a fun two-door sports car.